This new rule forces contractors to implement engineering controls to reduce the amount of respirable silica dust on construction sites to meet the new PEL (Permissible Exposure Limit) of 50mcg/m3 (micrograms per cubic meter), which is 5 times less than the previous standards. The rule was finalized in 2017 and went into effect on June 1st, 2018. OSHA estimates that more than 840,000 construction workers are exposed to silica levels exceeding the Permissible Exposure Limit each year. Is your crew ready? 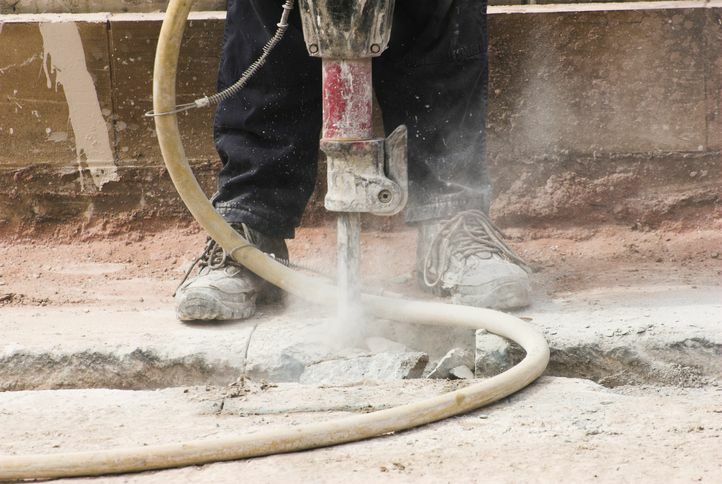 There are 2 ways to prevent the silica from becoming airborne during construction projects. Depending on the activity, the use of either a vacuum system (to draw in the dust) or a surfactant (to suppress the dust) is now required. It is the contractors’ responsibility to ensure PEL levels are below the new required limit. OSHA guidelines also require companies to develop and maintain a written silica exposure control plan. Silica dust exposure and the resulting health hazards have been a very real problem at construction sites for years, and the new OSHA rule is finally addressing that problem. Exposure is extremely hazardous and can cause cancer, COPD, and silicosis, an incurable lung disease. Controlling exposure protects the companies most valuable assets---their employees. Learn more about protecting your crew from the hazards of silica dust by taking an online course from the Builders License Training Institute. Visit the website and choose your state. You'll find the Silica Safety course listed for continuing education credit (if State required) or as a professional development course for those seeking to expand their knowledge base. This entry was posted in Construction and tagged Commercial Builders, Residential Builders.